Garfield Theodore Meltzer was born in Saint John, New Brunswick June 29, 1922 and passed away, April 26, 2008. For over 53 years, he was the beloved husband of Jacqueline (Rubanowicz of Paris, France). Mr. Meltzer was predeceased by his father Samuel Meltzer, who immigrated to Saint John from Vilna, Lithuania and his mother, Alice Dritz Meltzer, who also was a native of Vilna, Lithuania. She died in Saint John when “Gar” was two years of age. Gar was happy man, full of mirth, who loved his family and his home. He believed in working hard, doing one’s best and realizing the fruit of one’s labours for family and community. He was a kind, generous, fair, honourable, humble, optimistic, and ever courteous man who had an indomitable spirit. He always took the high road and had a good word with a smile for everyone. Gar and his wife, Jackie had compassion and deep concern for the human rights of all people Gar was committed to promoting human rights, brotherhood, mutual respect, peace and community service throughout his life. He was active in the scouting movement, as Akela for over 25 years with the Judean and then the Eli Boyaner Cub Pack in Saint John. He considered each of his cubs as one of his boys. He delivered Meals on Wheels, offered pastoral care at the Saint John Regional Hospital and served on the Board of the Shaarei Zedek Synagogue. He was a founding member and Commander of the Jewish War Veterans in Atlantic Canada, a member of the Maritime Parkinsons Association, the North West Commercial Travellers’ Association of Canada, Albion Masonic Lodge No.1, Saint John Multi-Cultural Association, B’nai Brith Canada, Royal United Services Institutes of Canada (RUSI) and the Carlton Curling Club. 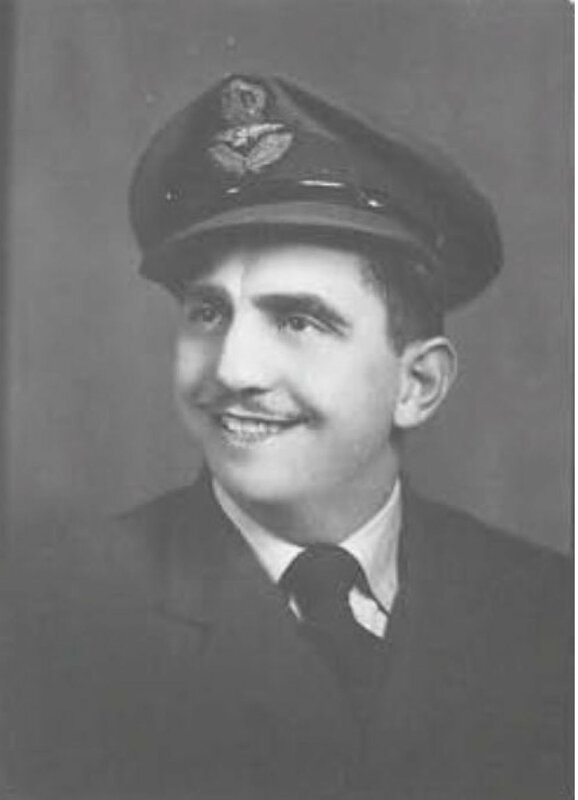 Gar was a life member of the Royal Canadian Legion, Branch # 2 and the RCAF 250 Wing in Saint John, having served in the Canadian army and then the airforce as an Officer Training Instructor during World War II. After the war he was actively involved as an instructor with the air cadets. He treasured his friendship with life-long pal I.J. Davis, with whom he worked devotedly on Jewish War Veterans affairs. He was a ship chandler, the owner of Gar’s Diner, Gar Meltzer Sales, and a commercial salesman for over 40 years representing some 50 companies throughout Atlantic Canada. Spending six months on the road every year for decades, he developed a network of customers who became friends who never forgot him for his acts of kindness and tzadkah. His good deeds were innumerable. And while the family was well aware of his charitable, principled ways, much went unnoticed. Over the years, family members often only heard by chance from those who were touched by his generosity and altruism. Following Gar’s funeral, many came forward with stories of his immense kindheartedness and philanthropy. In 2007, Shaarei Zedek synagogue bestowed the rare honour of placing a gold leaf on the tree of life in recognition of Gar’s tireless dedication and contribution to the synagogue and Jewish community. The Meltzer family is honouring this wonderful man by establishing The Garfield T. Meltzer – Jewish War Veterans Scholarship Fund with the Greater Saint John Community Foundation. It will support an annual scholarship, on a merit basis, at any post-secondary institution, for a graduate of Saint John High School entering first year at any post-secondary institution.